When you close your eyes and daydream about Colorado living, THIS is the home you dream of. Gleaming stainless steel appliances, quartz counters, gas fire pit and mountain views. 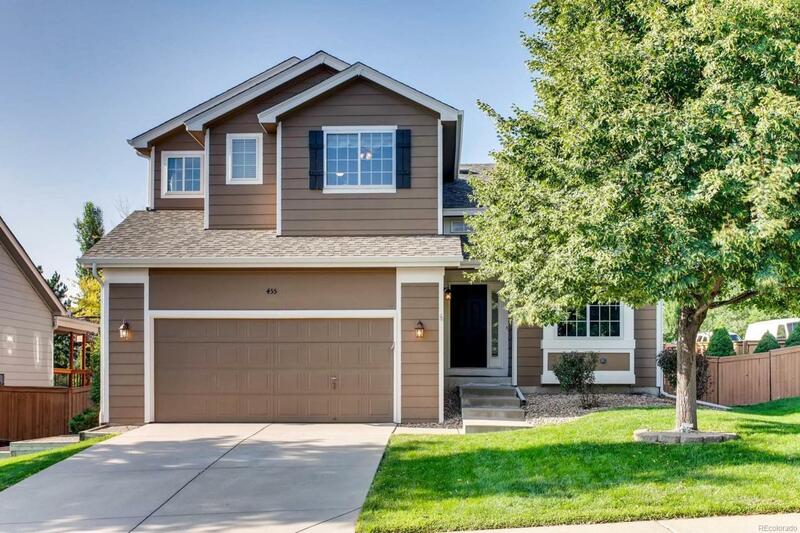 This beautiful, 4 bedroom, 4 bath, single-family shows all the love and care that has been poured into it. Retire after a long day s work to your master bedroom retreat, draw a long bath in and soak your worries away. Entertain family and friends while serving up delicious treats in your open kitchen with new quartz counter tops and stunning stainless steel appliances. Do you enjoy backyard barbecues and outdoor games? Play corn hole, play on the in-ground trampoline while grilling and enjoying the $25,000+ in professional landscaping. And of course, enjoy use of the rec centers, trails, and parks that make this such a highly sought after community. No matter if you competitive game-nights of fun or quiet nights with a good book, this is the home you envisioned for yourself.